David C. Hoffman, D.D.S., F.A.C.S. Oral pathology refers to any disease that affects the oral and maxillofacial areas, including diseases of the bone, soft tissue, and salivary glands. When healthy, the inside of your mouth is lined with mucosa, a special type of skin that is smooth and pink. Any changes in the appearance of the tissue around the lips, cheeks, palate, gums, teeth, tongue, face, or neck should be examined, as they can be a warning signs of serious oral diseases. 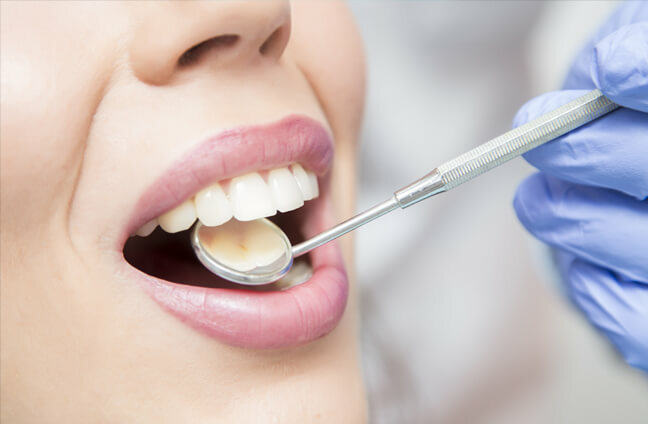 If you discover any abnormal changes in your oral health, it is important to visit our oral pathologists and surgeons as promptly as possible. Detecting and diagnosing an oral condition sooner can allow for more time to plan an effective treatment regimen. How can I tell if I have a serious oral disease? Staten Island Oral & Maxillofacial Surgery’s oral and maxillofacial surgeons recommend that you perform a monthly oral self-examination. It is important to know that pain does not always accompany the symptoms of oral pathological processes. If you notice any changes or suspicious growths in the mouth, lips, face, and neck, please contact us as soon as possible. What are the symptoms of oral disease or oral cancer? How can I find out more about oral pathology? For more information on oral pathology, please contact Staten Island Oral & Maxillofacial Surgery to schedule an appointment with oral and maxillofacial surgeons David Hoffman, D.D.S., F.A.C.S., Lydia J. Lam, D.D.S., Steve Yusupov, D.D.S., M.D., and Mark Stein, D.D.S., M.D. at 718.226.1251.